You’re probably wondering what happened to Fred “Herb” Herbert, Don “Dink” Dietrich, Jack Cannon, “Spence” Irving, Hank Jacobs, “Foof” Fredericks, Joe L. Quimby, “Chick” Dixon, Lou and Morty Schwartz, Frank “Hobe” Hobart, and all the rest of the creative team that worked for Jay Ward Productions after the studio closed up shop in, I think it was 1984, probably. Now these weren’t the same fellas that drew “The Rocky & Bullwinkle Show,” or “Rocky and Friends,” or “Rocky and His Friends,” or “The Bullwinkle Show,” or “Bullwinkle, RFD,” or whatever you may have known it as in syndication when you were too old to be watching cartoons and it pissed off your father every time he walked in the room. No, that show was animated in Mexico – because animating a moose and squirrel was a job that Americans wouldn’t do! 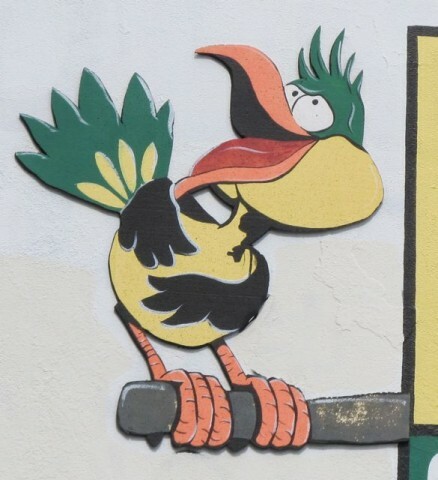 But those animators, Dink and Hank and Foof and Herb and Ed and Ted and Slim and Melvin and all the rest – they came on board for “George of the Jungle” in the 60s, and by God, they stayed til the bitter end. Anyway, they’re every single one of them all still working today, in 2011, those who aren’t dead that is, and guess what they’re doing! Go ahead, guess! 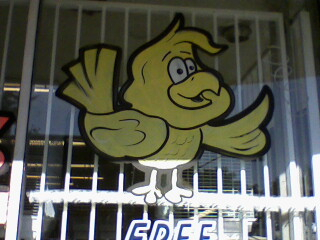 They’re painting pictures of cartoon birds on store windows in the Valley. Okay, okay, settle down, I’m just pulling your leg. 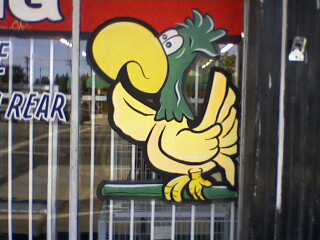 My point is that these particular cartoon birds look exactly like something out of “George of the Jungle,” don’t they? 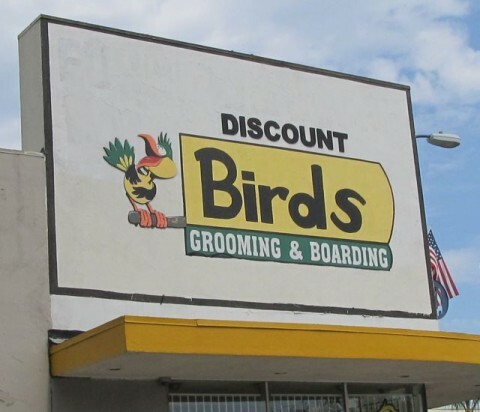 It’s like whoever did character design on “George of the Jungle” back in 1967 painted these birds, right? So I’ve done my part. You won’t find content like this on Cartoon Brew. Posted by Ted on July 8, 2011, 9:00 AM.